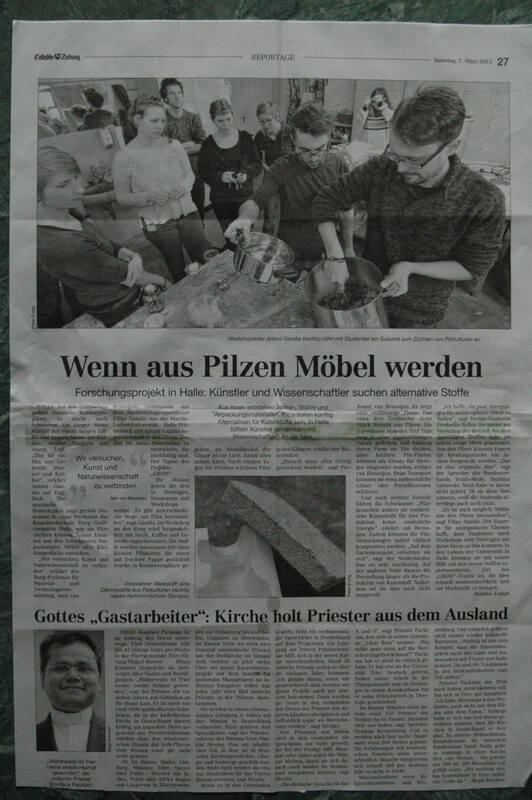 On February 15th me and my friend Lukas Pressler drove to Germany with a car full of laboratory equipment, including an old military-class autoclave from the Deutsches Bundeswehr that we borrowed from another mushroom farmer. 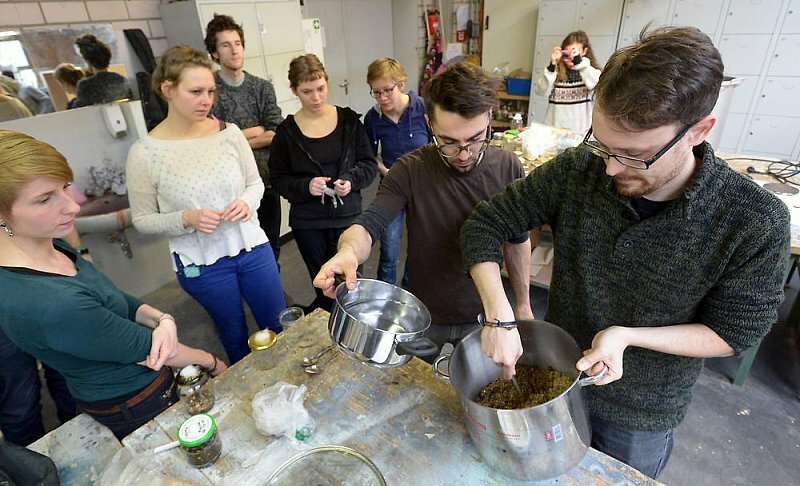 During 3 days we gave a workshop on mushroom cultivation techniques at the Burg Giebichenstein Kunsthochschule Halle (Saale) as a part of their Wintersession 2015, organized by MAKE (platform for materials and technology) and GROW (platform for Art/Science projects). The title of the workshop was “GROW: The Art and Science of Mushroom Cultivation” an with it we tried to explain to the participants not only basic home cultivation techniques, but also advanced sterile protocols such as preparing agar recipes and how to work with Petri dishes, mother cultures, selecting and breeding strains to prepare spawn.